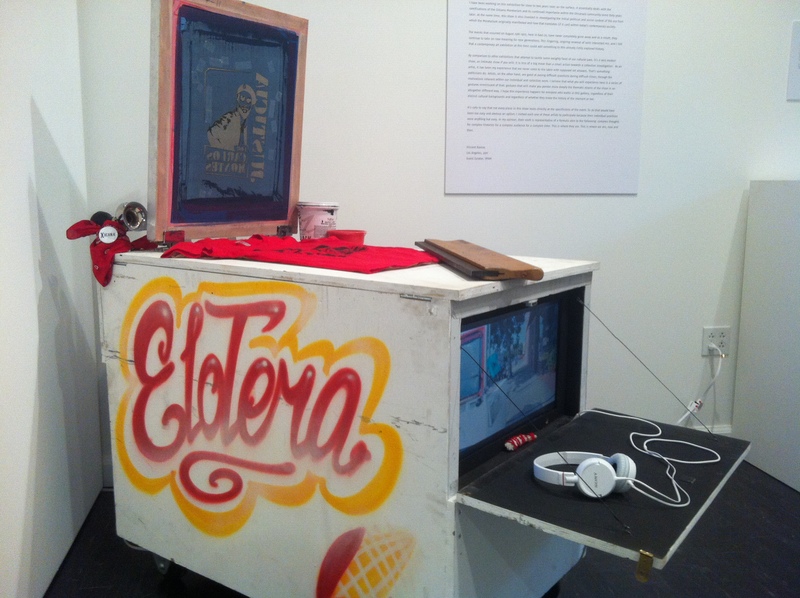 The Politricked Public Art Cart created by Felicia ‘Fe’ Montes and Joel ‘rageone’ Garcia embodies the P’s of Public Art including Posters, Projections, Performance, Poetry, and Politics. It is a mobile art cart made in the style of the elote or corn vendor cart that is also a migrating space for empowering education, information, and art. It is a small political art hub with a silkscreen press, TV monitor, projector, P.A. 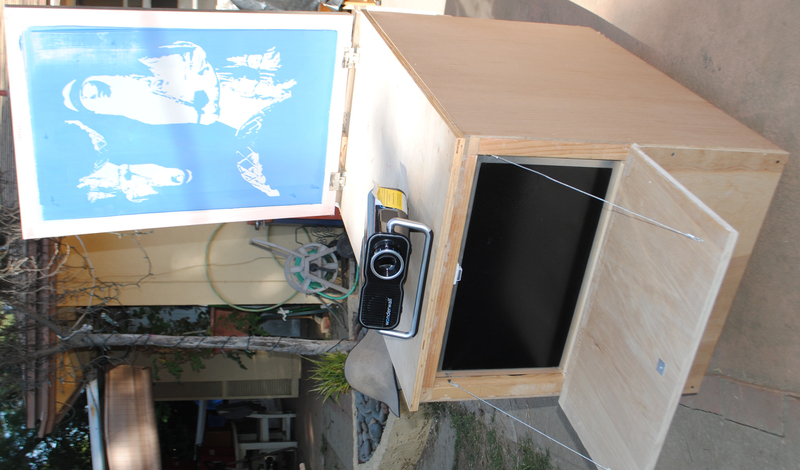 system and mobile unit for the sharing of political platforms through image, video, performance, poetry, and protest. It is also a place for dialogue with informational brochures, flyers, and Know Your Rights information. The Politricked cart will be put to use on a regular basis in various communities as a site for arts and action. 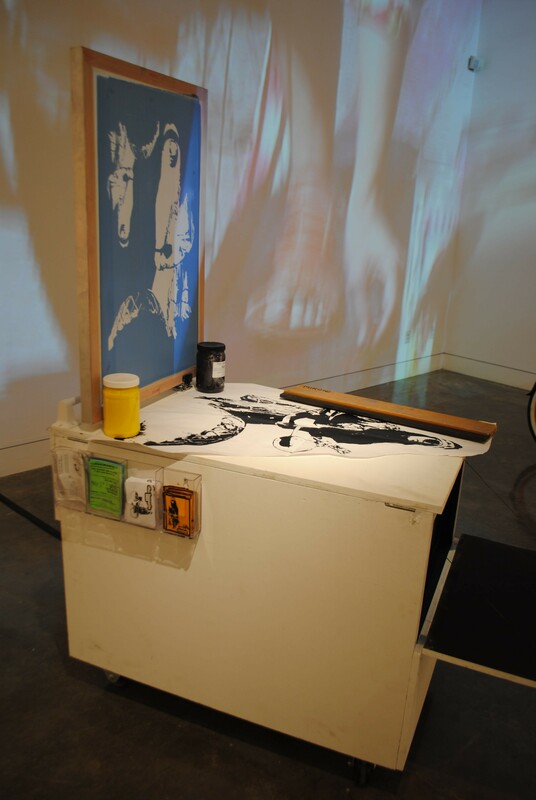 Here’s some photos of our inspiration, process, and prior projection performances that pushed us to create this cart. We hope this to be a template for other activists to use in their organizing and education strategies. Please contact us for more information.